It could be 2018 and 2019 will play out like the fable of the ant and the grasshopper. In this version, the grasshopper went all-in with cryptocurrencies and initial coin offerings (ICOs), while the ant worked diligently in the less glamorous traditional payments systems. With the epic rise and fall of cryptocurrency, it looks like the staid business of soliciting merchant accounts and servicing merchants is the ant in the story. 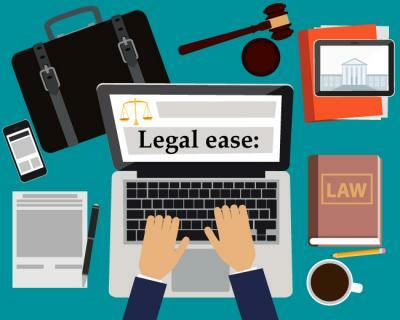 From a legal perspective, we've learned a lot in payments during the past year, and these lessons can help inform us for the coming year. Between 2014 and 2018, the number of entities registered with Visa as service providers increased from 4,583 to 5,313, or 16 percent. Registrations include ISOs, payfacs, MSPs, TPPs and others. These are the same four years in which virtual currency and blockchain were predicted to rise and supplant traditional networks. Traditional networks, like Visa, Mastercard and American Express, all showed strong growth at a time when their very existence was said to be up for grabs. Traditional payment networks are where ISOs earn their living – assisting merchants in getting paid by good old credit and debit cards (which may be presented as digital tokens or in old fashioned plastic form). Whether you call it fintech or neo-banking, a lot of contemporary payment services are simply traditional banking or card issuing programs with much better user interfaces and APIs. We observed a number of banks retreating from the front lines of soliciting clients (in acquiring or issuing) and delegating that role to hungrier and, critically, more technically savvy entrepreneurs. ISOs have already spent decades performing the sales, solicitation and service functions of banks much better than banks themselves. The contemporary generation of ISO does the same but does even more by making use of better technology integrations than the banks themselves. There is nothing new about this kind of outsourcing other than the banks themselves being pushed just a little more into the background. Once upon a time, an ISO was proud to boast of a large national bank brand behind them. Now, some of those brands are tarnished, and the ISOs prefer to play up their own brands and technology as being more trustworthy, efficient and reliable than the banks. Banks, therefore, are on the retreat into being highly regulated and important girders in the architecture of contemporary financial services. The main question here is how far the Office of the Comptroller of Currency, being the regulator of banks, will allow banks to go in plugging in third-party services that use bank licenses. There is a long history of banks pushing the window on engaging with third-party services and the OCC frowning on banks that "rent out" their licenses. For now, however, the pendulum is swinging toward greater use of bank rails by innovative third parties. Traditional ISOs do not often encounter the need for federal registration with the Financial Crimes Enforcement Network (FinCEN) or licensure from state banking departments. Ever since our firm obtained clarification for a client from FinCEN, back in 2014 (FIN-2014-R009, Aug. 27, 2014), that ISOs do not need to register with FinCEN, a number of U.S. states have followed FinCEN's guidance and implemented similar rules exempting ISOs from the need for state money transmitter licensure. The same is not true of virtual currency businesses. The need for multistate licensure of virtual currency exchanges that involve the exchange of crypto-to-fiat, where the user maintains a balance at the exchange, has resulted in only a handful of legal U.S. exchanges in operation, including Coinbase and Gemini. Non-US entities, like LocalBitcoins, serve U.S. people, but the long-term viability of serving the U.S. market without getting local registrations and licenses is questionable. Non-fungible tokens (NFTs) and the art and games around them are less prone to being designated as regulated virtual currency. Example of NFTs are the very popular Cryptokitties; each one is unique and therefore not capable of being characterized as a virtual currency, like bitcoin or ethereum, which are each fungible. Stablecoin is a virtual currency backed by real currency. Examples include Gemini Dollar, Paxos, TrueUSD, USDCoin and Tether. Theoretically, stablecoins have the best of both worlds: they are easy, quick and relatively cheap to transfer, like bitcoin and other virtual currency; and (theoretically) they are backed by fiat money – USD, for example. If everyone switched from using traditional payments to payment by stablecoin overnight, the payment processing and ISO business market would collapse. This is so because there would not be enough transaction revenue for ISOs to earn a living. Card issuing banks (or stablecoin lenders as they would perhaps be called) would survive because people would always want to borrow money, regardless of what form it takes. The New York Department of Financial Services approved at least one stablecoin, which is puzzling to me. USD is controlled by banks, and banks answer to U.S. regulators. Stablecoin, however, can get legs of its own and does not need to be held at stablecoin issuers, banks or other regulated entities. In plain English, stablecoin can go where no USD is allowed to legally go. So, why are U.S. regulators approving open ledger distributions of stablecoin? I don't know. Despite the theoretical challenge of stablecoin, I do not see any of them supplanting traditional money anytime soon. ICOs were big in 2018, and most of them were epic failures. An ICO is like an IPO, but most ICOs had no regulatory oversight. An IPO is subject to Securities and Exchange Commission registration and oversight by state and federal securities regulators. Most of the ICOs, despite having raised millions of dollars of value, had no such oversight and were, largely, illegal. The SEC has made this clear. It looks like 2018 was a lesson for all investors to not trust promises by unregulated entities that are too good to be true. In publishing The Green Sheet, neither the author nor the publisher is engaged in rendering legal, accounting or other professional services. If legal advice or other expert assistance is required, the services of a competent professional should be sought. For further information on this article, please contact Adam Atlas, Attorney at Law, by email at atlas@adamatlas.com or by phone at 514-842-0886.